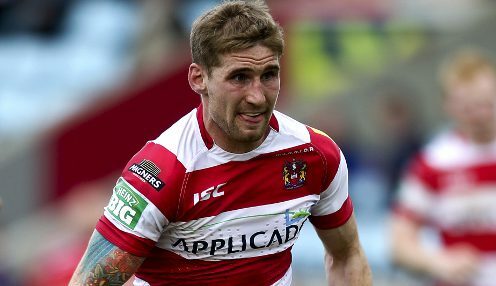 Sam Tomkins is adamant that there will be no emotional distractions for Wigan in Saturday's Grand Final. The Warriors face Warrington looking to claim a fifth Super League title after beating Castleford Tigers 14-0 last Friday. It promises to be a magnificent spectacle against the Wolves who are aiming for a maiden Old Trafford crown after missing out in the Grand Final in 2012, 2013 and 2016. Wigan beat them on two of those occasions and have extra motivation to finish the 2018 campaign with a bang. The fact I'm leaving doesn't add too much to it. Both Tomkins and coach Shaun Wane are set to depart the club, while John Bateman is heading for the NRL and Canberra Raiders. Wane announced in May that this would be his last season at Wigan and Tomkins revealed soon after he would also be leaving after agreeing to join the Catalans Dragons. The 29-year-old, who is in his second spell at the DW Stadium, has worked under the boss for much of his career and himself has spoken of the importance of providing Wane's reign with a fitting end. However, he is confident the emotions of the evening will not distract the Warriors as they go hunting the Wolves. "Grand Final week is important whether you're staying, leaving, retiring or whatever," Tomkins told BBC Sport. "It's another Grand Final week, there's no bigger occasion, the atmosphere of playing at Old Trafford is more special than anything else. "So the fact I'm leaving doesn't add too much to it." Wigan are 1.44 to win on Saturday, with Warrington 2.75.